What do you do when you love garden fresh tomatoes and herbs but you don't like to weed and you don't want to pull the water hose all through your back 40? You plant a container garden. 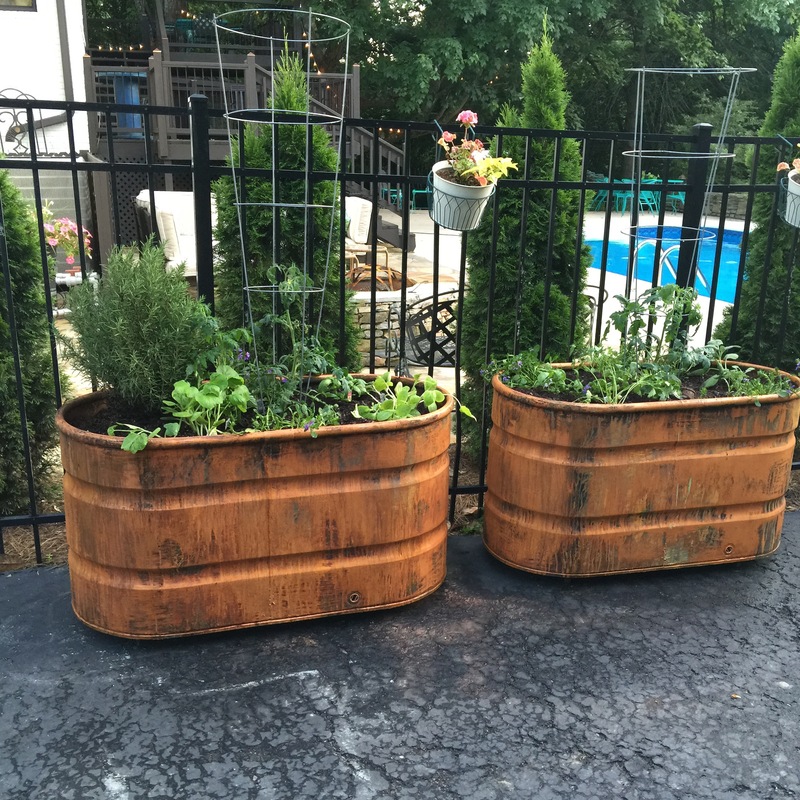 And not just any container garden. 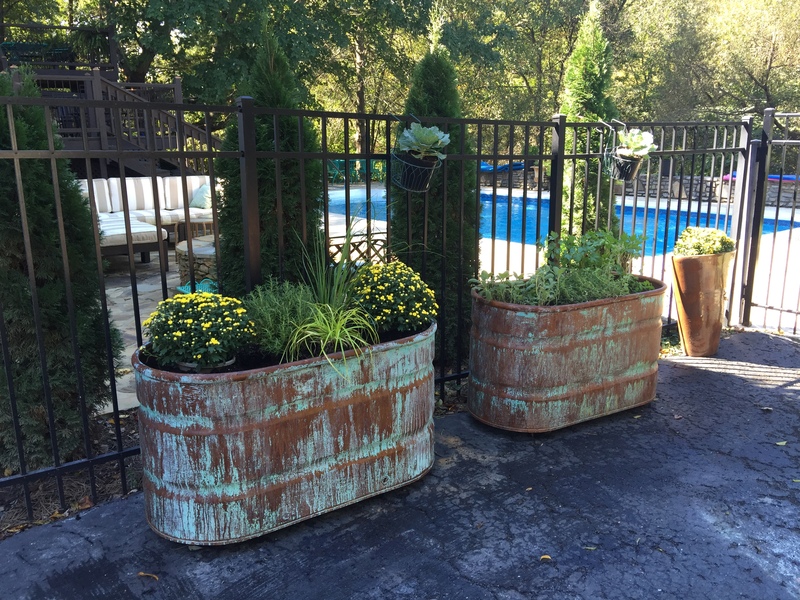 A beautiful metal patina'd container garden. My friend and Southern Living Garden Expert, Carmen Johnston was planning a trip to Nashville and we had been talking about collaborating on a project. I thought this would be the perfect opportunity to work on pairing her garden expertise with a lovely patina'd container. Looking back on my love of time worn finishes, I've always had a soft spot for metal patinas. These are the images I find myself "pinning" and screen-shotting and filing away in my brain.​ I couldn't wait to put my plans in action. I hope this project gets your creative juices flowing and provides some Pinterest inspiration for you. 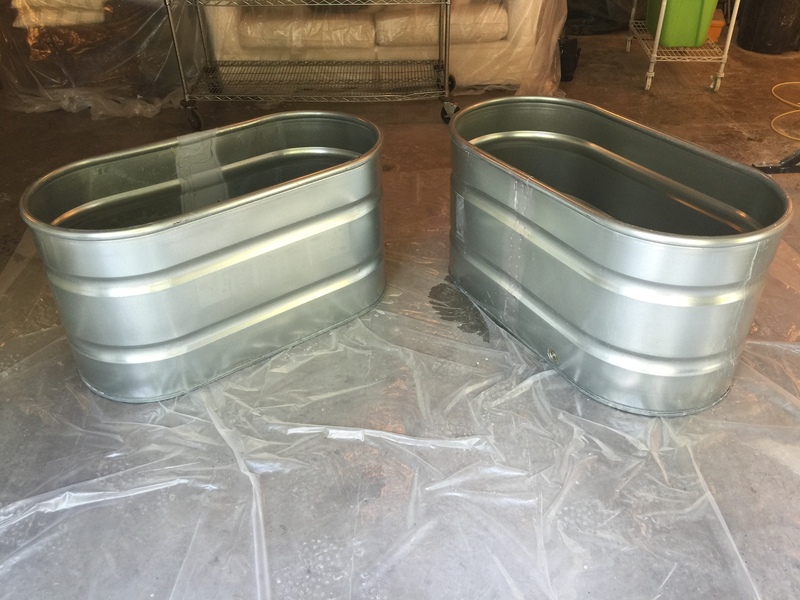 We started with these galvanized containers from Tractor Supply. They were $99 each. 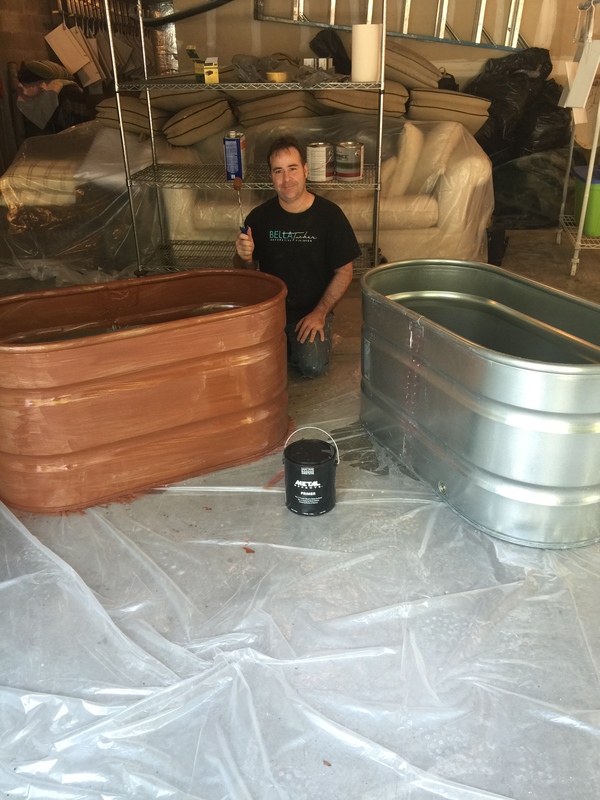 We used the Modern Masters Metal Effects Paint System and followed the directions. It was beautiful. And Rusty. So we went a little crazy with the Rust Activator. And it REALLY overpowered the Blue and Green Patina. I REALLY wanted more blue/green color, but I didn't want to risk killing my summer veggies with over spray, so I waited. Patiently. Until fall. 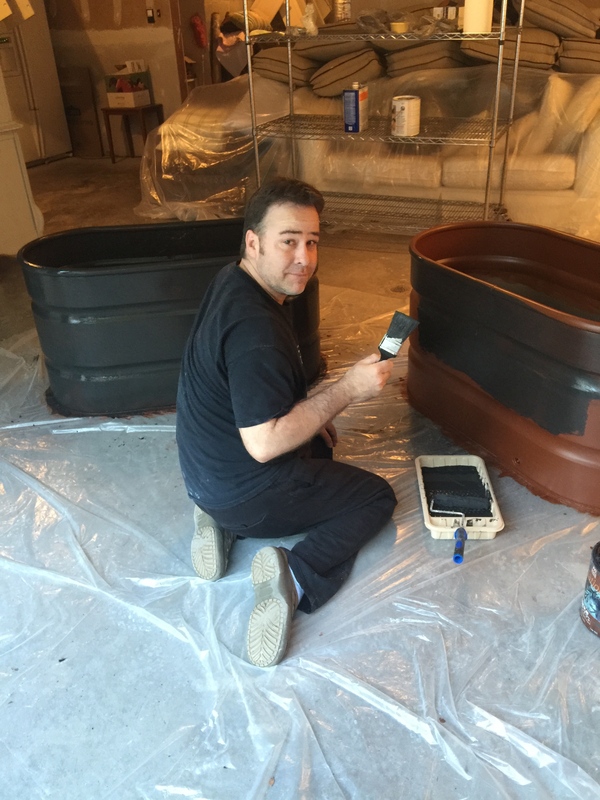 Then we got to work on those planters again. 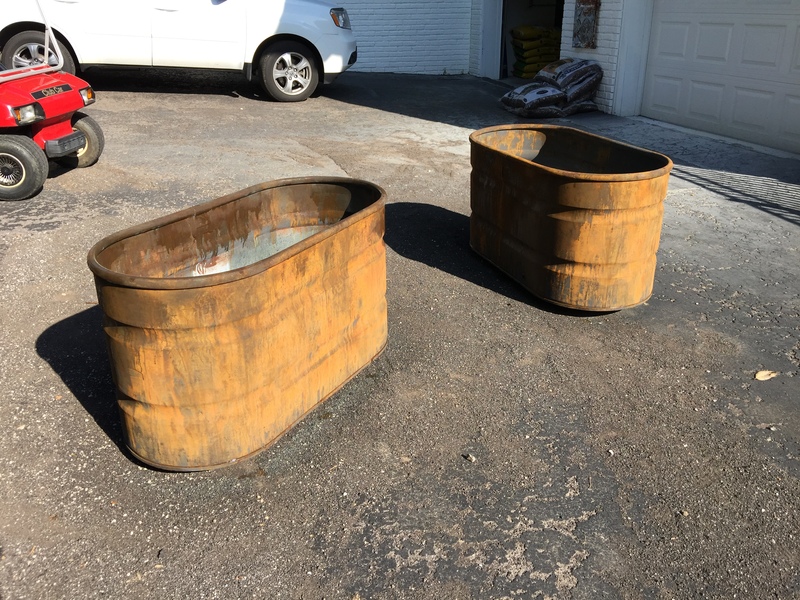 While that the copper paint was still wet, we sprayed with Green and Blue Patina Aging Solution. 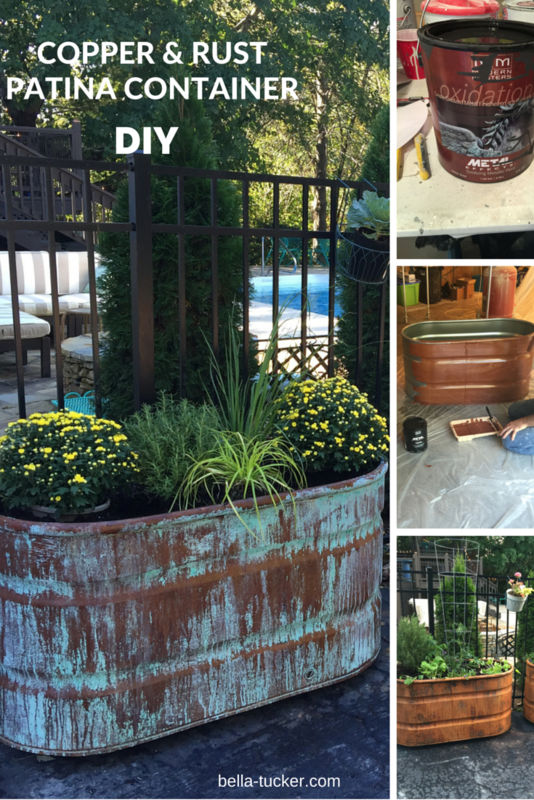 Here is a DIY video from start to finish on how to achieve this copper patina finish. We were so thrilled to work with Carmen Johnston and her amazing husband, Tommy on this project and we LOVE how it turned out. Good News! Modern Masters is launching new Metal Effects kits for small projects that will be available this month at a Home Depot near you. Or you can search HERE for the closest retailer. Thanks to Modern Masters for supplying the product for this project.